An 80 metre, 160 tonne red bridge providing an important link between Canning Town and Canary Wharf, The City Island Bridge, has been designed by Davies, Maguire and Whitby to accommodate the residents of City Island, a twelve acre 'island' neighbourhood close to Canary Wharf. Billed as a 'mini Manhattan', the development houses 1,700 new apartments, al fresco spaces, waterside parks, bars and restaurants, artist studios, boutique shops, a school and private residents' club. 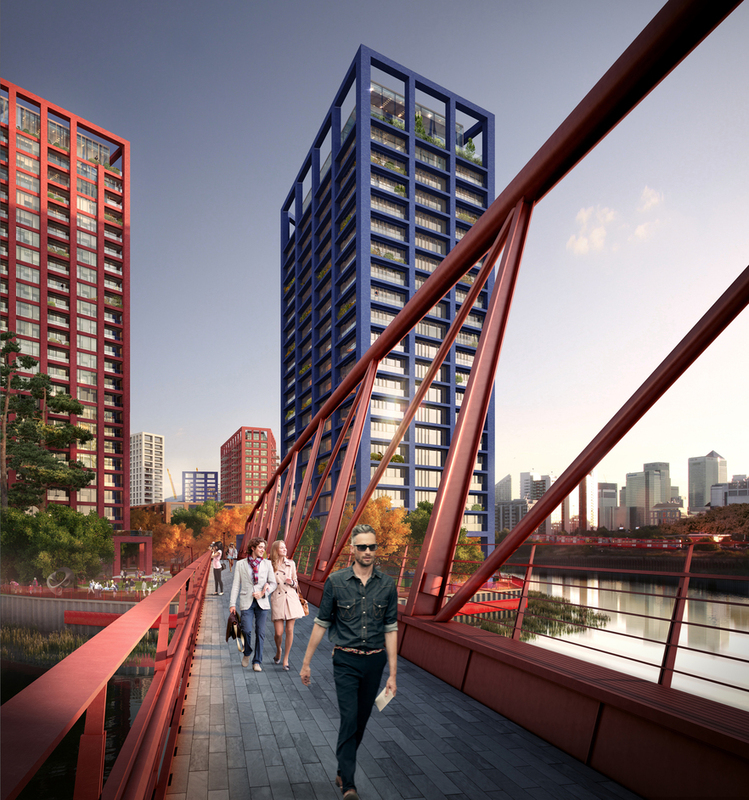 The bright red bridge, lifted into place by the UK's biggest crane is set on the Lea River's striking meander, known as Bow Creek and made famous by the beginning aerial shots of 'EastEnders'. What are the best dining options near City Island Bridge London? City Island Bridge gyms, sporting activities, health & beauty and fitness. The best pubs near London City Island Bridge. City Island Bridge clubs, bars, cabaret nights, casinos and interesting nightlife. Where to have your meeting, conference, exhibition, private dining or training course near City Island Bridge. From cheap budget accommodation to luxury 5 star suites see our deals for City Island Bridge hotels, including Good Hotel London from 91% off.